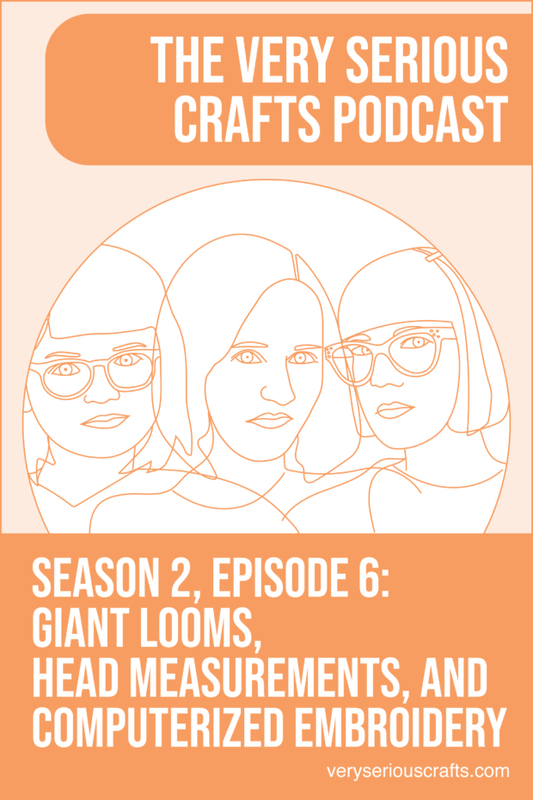 Hello, and welcome to The Very Serious Crafts Podcast, Season 2: Episode 6 – Giant Looms, Head Measurements, and Computerized Embroidery! In this episode, the Very Serious Crafters pull out the measuring tapes and drop the knitting needles! 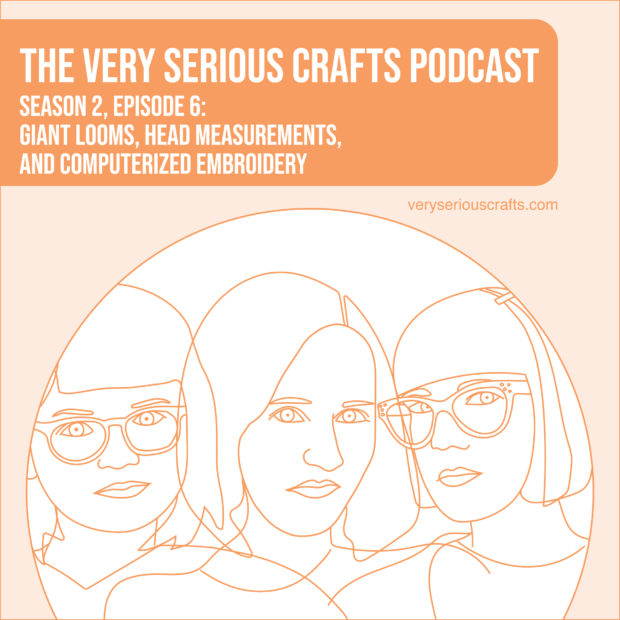 In Season 2, Episode 6 of the Very Serious Crafts Podcast, Haley finds stitch-y joy in 1970s crewel kits, Heidi experiences the wonders of the Wasteshed, and Mollie meets some embroidery memes!